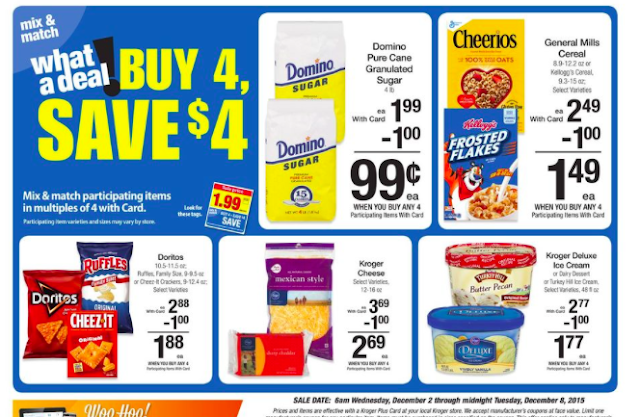 KROGER: Buy 4, Save $4 Ad Preview Starting 12/2! The new ad scan for the Buy 4, Save $4 mix & match sale starting tomorrow 12/2 is live! Click the picture above to take a look at it! The ad scan is for Metro Detroit, MI area. If you live in a different area then click here and change your zip code! Not all area's will have an ad scan available. I will be posting match up's soon, so keep checking back!! !